Do you remember this Lake Forest Coach House Project? 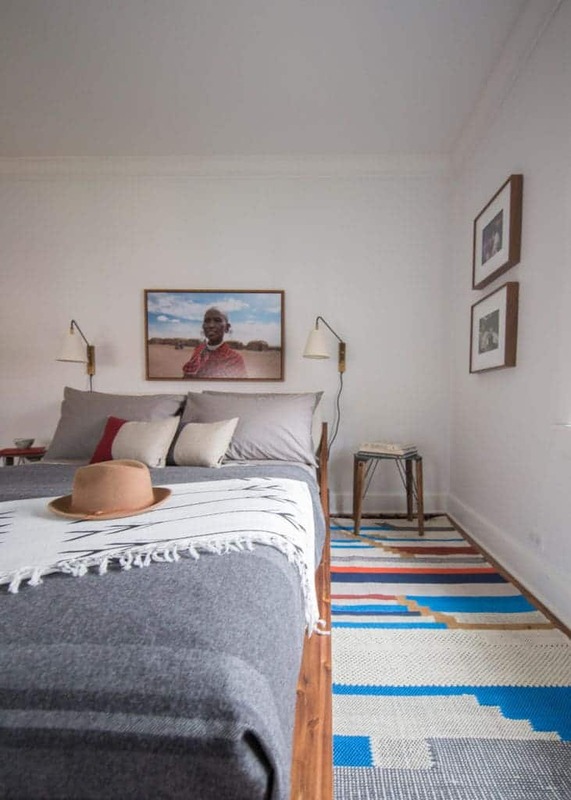 This guest bedroom was inspired by visions of summer camp and the personal photography from my client’s trip to Africa (hung over bed). 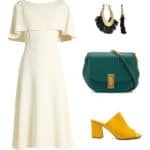 I love how Alyssa has transformed it into a chic summer outfit using elements from the design! 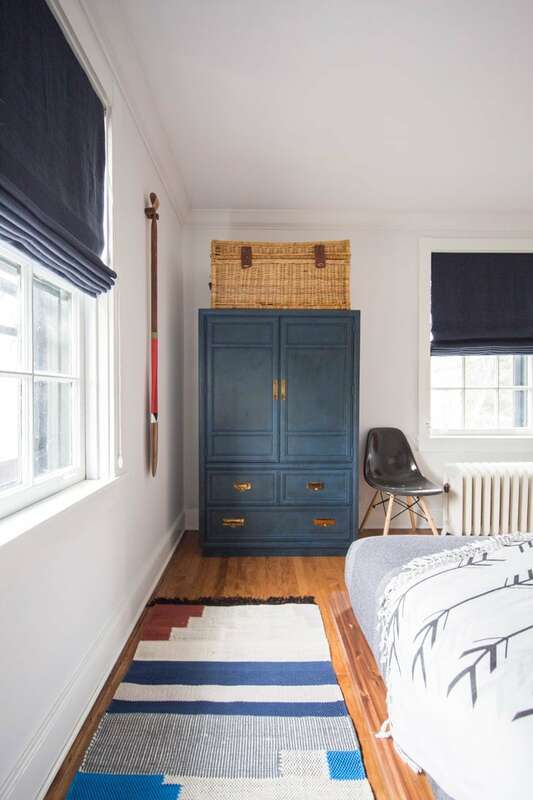 Navy blue and denim pulled from the roman shades and custom painted dresser, organic elements come through in the woven hat and suede shoes — and then that crazy colorful belt, just like the funky rug (CB2 sourced over a year ago). 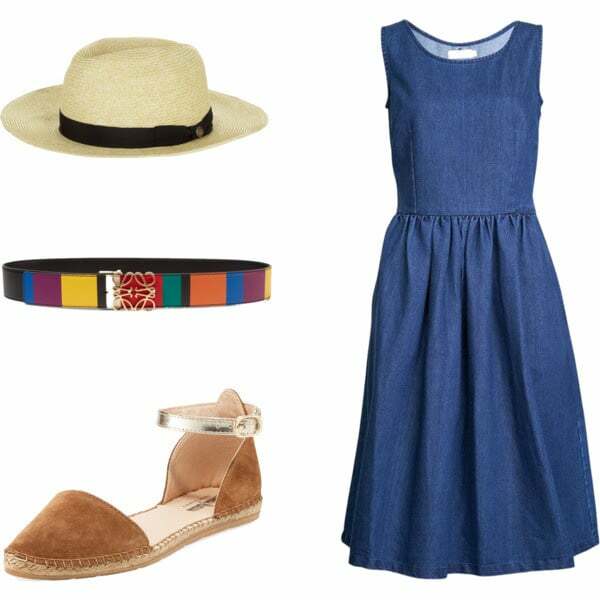 Stick to short sleeves or a sleeveless option with thick straps, like this denim dress. Bring a lightweight linen or cotton cardigan with you to wear inside, to combat the blasting AC. Cotton is your BFF. It’s breathable and if you sweat, it won’t show as much as a silk or polyester fabric. Top off your look with a straw hat to shield your face from the sun. Closed toe sandals are a chic, polished summer shoe option. 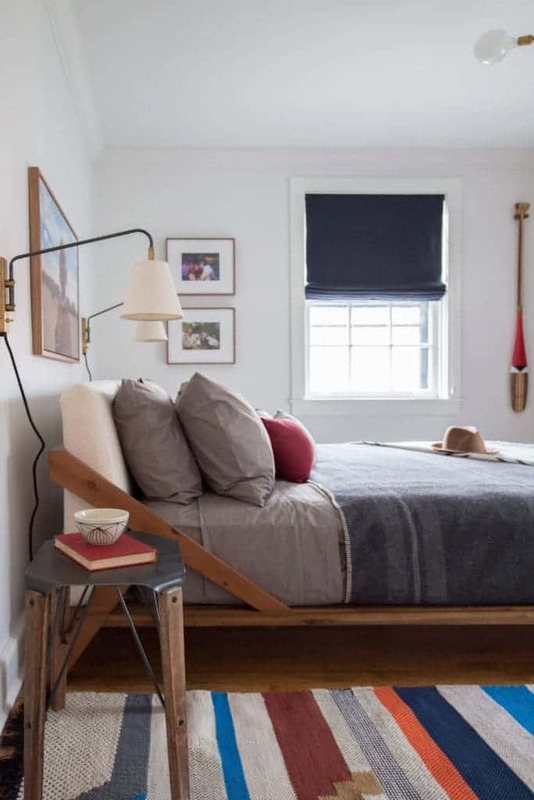 See you next month for another outfit and another room!